The body is filled with bacteria. Live bacteria and yeasts are beneficial for overall health and though probiotics are most commonly bacteria, they can also survive and operate as yeast. 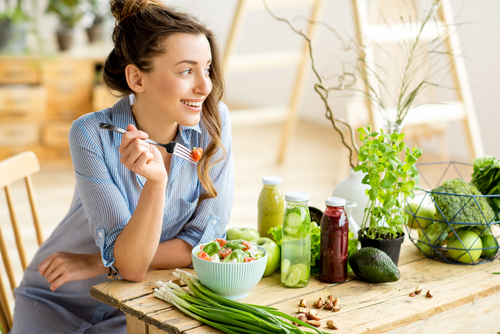 Maintaining a balance of both good and bad bacteria is important for maintaining proper function of many body systems, specifically in regards to oral and digestive health. 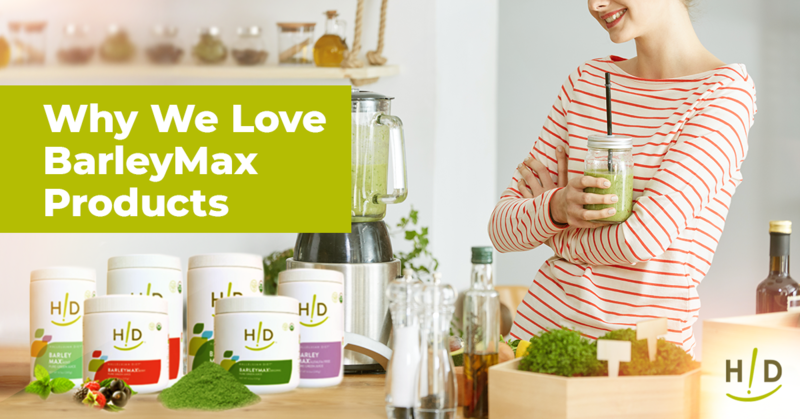 According to our Hallelujah Acres experts, there are two ways to obtain these necessary microorganisms: Either from fermented food sources or by taking a high quality supplement. For followers of the primarily raw, plant-based Genesis 1:29 diet, cultured foods are a great way to consume probiotics naturally. 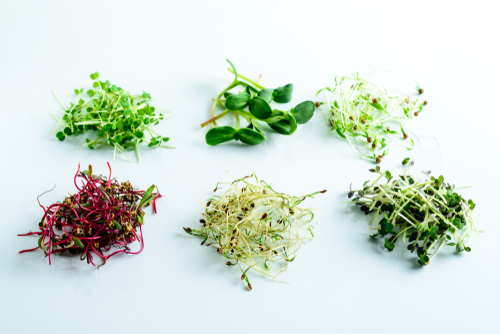 According to our experts, cultured foods are a great source of probiotics as they are a way to consume the hard-to-absorb nutrients from raw foods, while still keeping the enzymes alive. This is because there is no heat involved in the fermenting process – also known as culturing. Thus, the enzymes remain and a number of other health benefits are also added. Improving digestion, cultured vegetables can also provide omega-3 fatty acids, B vitamins and many bioavailable minerals and vitamins. 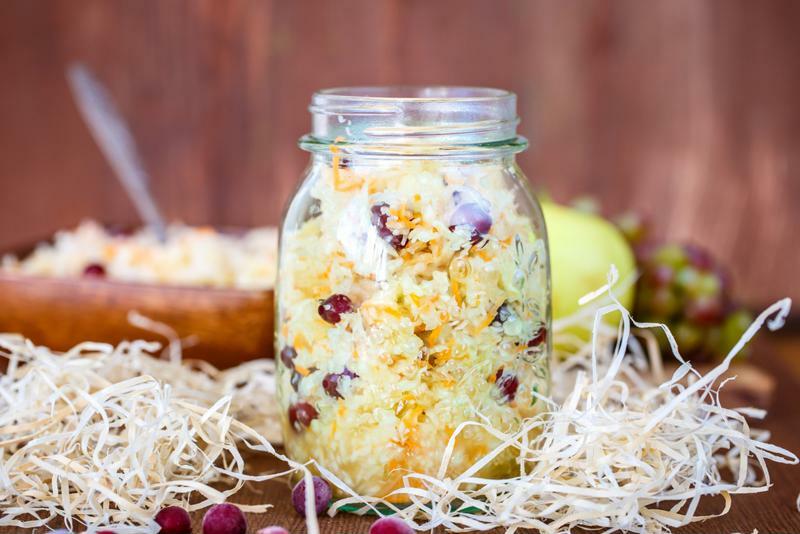 Common cultured foods include sauerkraut made from fermented cabbage, pickles and tempeh, according to the Global Healing Center. Also popular for fermenting are carrots, kale, celery, turnips, onions, leeks, beans and parsnips. However, though keeping a balance of bacteria is crucial for proper functioning, it is not always viable today. Not everyone is able to get an adequate amount of fermented food in their diet. Did you know that there should be close to three pounds of bacteria in a healthy functioning intestinal tract? Though it may sound like a lot, it’s what’s needed to aid in the day-to-day function and maintenance of your immune system, according to “Unravel the Mystery” by Ann Malkmus. And of those three pounds of bacteria, 85 percent should be “friendly” flora. Though as Idol explained above, the production of B12 is no longer predominant in most Americans. “Thus, we need to rebuild our friendly flora through discrete probiotic supplementation and raw fermented foods or we need to supplement with vitamin B12,” said Idol. If you’re looking for a B12 supplement, Hallelujah Acre’s B-Flax-D is a great choice. Regular use of B-Flax-D can help ensure that you are obtaining a sufficient amount of vitamin B12, which helps in healthy cell formation, aids in preventing anemia and nerve damage and serves as an important component of overall health. 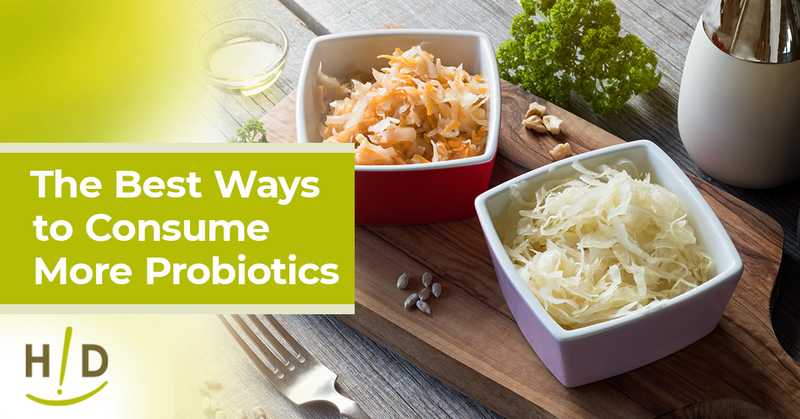 If you’re not getting enough probiotics through cultured foods such as sauerkraut, probiotic supplements are key. Another option is probiotic supplements, which must have a high level of bacteria, such as our Professional Strength Probiotics. While many products available today merely claim that their capsules will make it all the way through the colon where they are intended to go, very few do. The Hallelujah Diet® Professional Strength Probiotic however, does in fact deliver up to 60 percent of its bacteria to the colon. Coating the GI tract with immune-fighting bacteria, these capsules can help to shield you from the bad bacteria that cause disease. Moreover, they’ll help you relieve discomfort related to the digestive system. Most Americans do not eat any fermented food on a regular basis. I have made sour kraut with the perfect pickler and it turned out delicious. I’ve even had a couple people offer to buy it from me.